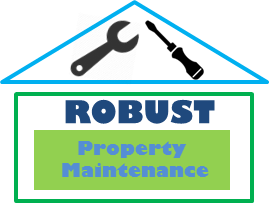 Robust can do a free analysis on your property and recommend a list of improvements to optimise your property. This will enhance its value and it has been found that any budget expenditure is always recuperated in the sale. Our blog gives an example of the guidance we give our customers to best handle their property. By project managing your job Robust will bring budget and quality control throughout the process. Detailed invoices and records will be given of all works carried out. Any trademen used will be skilled in their work and the whole process will be overseen smoothly by Robust. We have experience is all types of properties from bedsits to one beds to 5 storey detached houses. Even properties in good condition can benefit from refurbishment. The BER rating is also an area where we can offer free advice on improvements and then implement these improvements with our skilled tradesmen. So what are you waiting for? increase your assets today the Robust way. Get us to improve your property prior to sales or letting.